250 tablets. 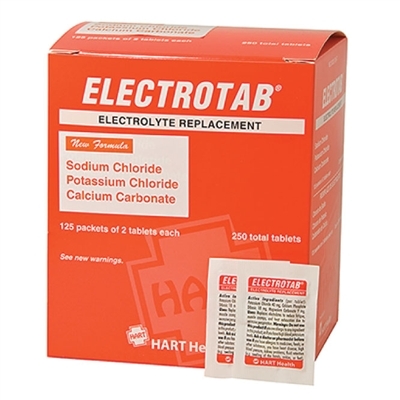 Electrolyte replacement for relief of heat stress. 220 mg. 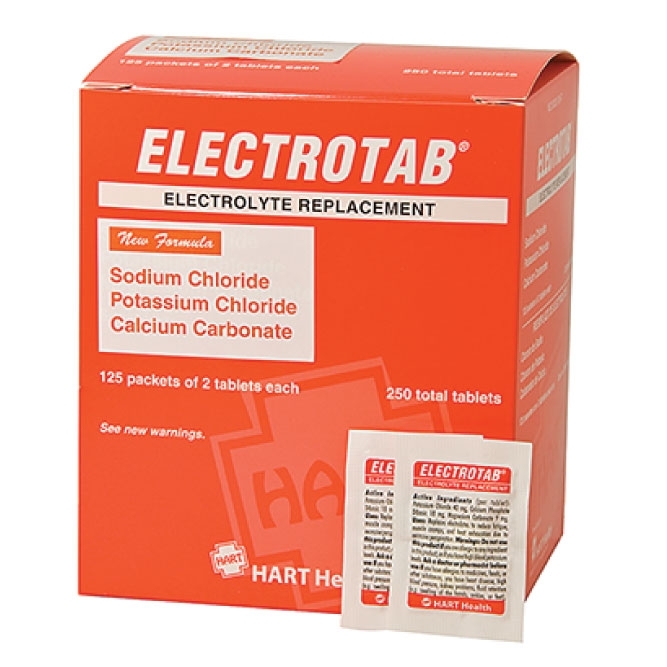 Sodium Chloride; 15 mg. Potassium Chloride; 18 mg. Calcium Carbonate. 2 tablets per pouch with instructions and warnings per the FDA.